If you're like me, you (at least used to) have a stack of remotes you juggle to watch TV, adjust the volume, switch between devices, etc. Even if your cable company provided or your television came with a "universal" remote, those "universal" remotes only work with a approved pre-programmed list of manufacturers and models. 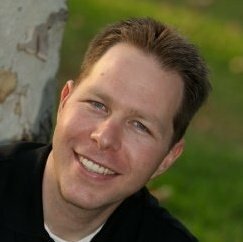 Roku? Nope. Asus O!Play? Nope. Cheap Chinese HDMI switch? Yeah right! How is this different? Well, this company makes remote controls that cost anywhere from $10 to over $500. 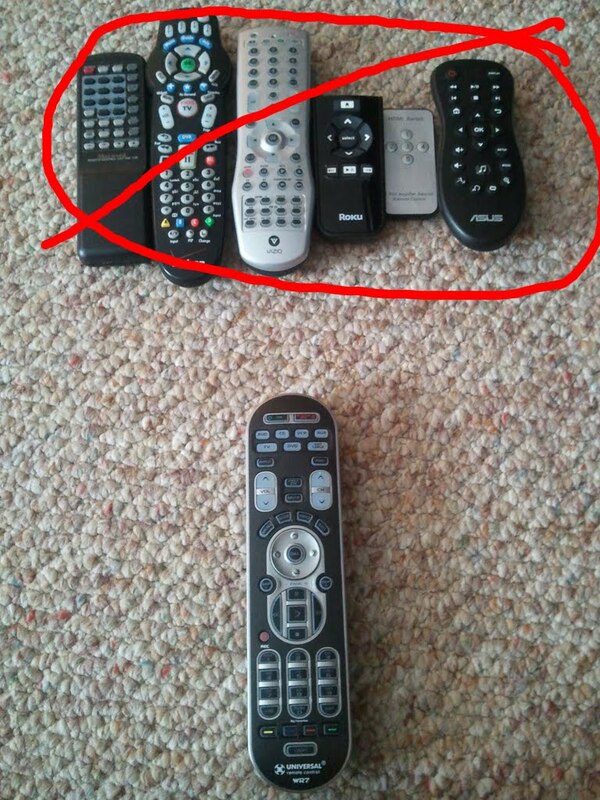 All of them, as far as I know, are "learning remotes". This means that the remote has an Infrared Receiver capable of listening to another remote control and mimicking back the signal. This is huge because the remote can learn to behave like nearly anything that sprays Infrared which not only includes anything you point at your TV to do something, but also all kind of other home automation products. Let's say we want to program the "1" button on the "dvd" setting. Press and hold [dvd] and [ent] at the same time. 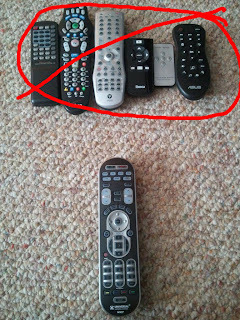 Then point your DVD remote at this remote and press  on the old remote. The new remote flashes three times and your done. You can continue to program more buttons by repeating steps 2 and 3. Press and hold [dvd] and [ent] at the same time to save. Punch through. Any button can be programmed to use the button from a different mode. For example, you can say that volume controls always go to the receiver or TV regardless of what mode you are on. Channel changes can always go to the cable box even if you are in DVD mode. Macro Mode. You can program a button to send more than one signal to more than one device. Example: Turning everything on and off with one button. Old fashioned setup like a normal universal remote (the old three digit code and a giant table in the back of the manual or "press up over and over until the device turns off to search for the right code"). So, for those of you who have been wishing for a $200+ Logitec Harmony, run down to target and grab the Universal WR7 for $30, or save yourself the trouble of a complicated setup and get one of the more expensive URC remotes.